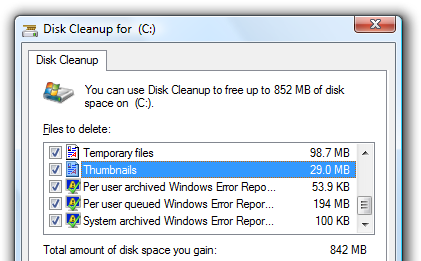 The CyberNet tech blog details how to create a set-it-and-forget-it scheduled task to automatically run Disk Cleanup every time your computer starts. The setup requires a few steps, starting with running Disk Cleanup from the command line with the /sageset:1 parameter to choose your settings, and then creating a scheduled task with the /sagerun:1 option to automatically run using the saved settings every time you start your computer. If you'd prefer to use the reader favourite CCleaner to clean up your computer, we've already detailed how to run CCleaner silently with a shortcut, or run it automatically with a scheduled task, which could be adjusted to run on startup.